DKFS Architects_portfolio, publication and information: Luedenscheid Bridge and Tower are open! Luedenscheid Bridge and Tower are open! Luedenscheid Bridge and Tower are erected and operational. Both new structures were fabricated in Stemwede by Rohlfing Metalworks. 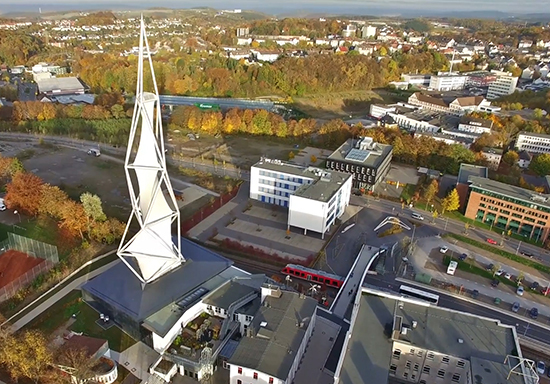 While the tower houses a Pendulum as part of the new museum the bridge ensures connectivity to the inner city of Luedenscheid. A formal opening is expected to be in spring once all remaining works are carried out.